Get ready to ride the wave to San Diego! SAVE THE DATES! 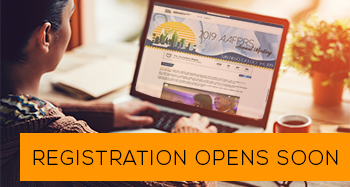 Mark your calendar and make plans to attend the 2019 AAFPRS Annual Meeting. Join us October 3–5, in sunny San Diego, California for the premier event for the facial plastic and reconstructive surgery community. Don’t miss the opportunity to collaborate, share best practices, and learn about innovative surgical and nonsurgical techniques. Boost your skills. Improve patient satisfaction. Take your practice to the next level. Join us at #AAFPRS2019! Event details and registration information will be available in February. In the meantime, take a look at highlights from the International Symposium and see what’s waiting for you next year. Registration opens on March 31, 2019. Join our mailing list to stay up to date with the latest news about the AAFPRS Annual Meeting. For more information, email us at education@aafprs.org.